Christie® , a leader in creating and delivering the world’s best visual and audio experiences, is pleased to announce that Xinshidai MZC Cinema has chosen Christie Vive Audio™ to deliver outstanding immersive audio to movie-goers. The Christie Vive Audio components installed in Hall 2 includes the LA Series line array for screen, surround, and ceiling surround loudspeakers that can be configured to support all DCI-specified distributed and immersive audio formats. In addition, the auditorium is fitted with S215 subwoofers for bass management and S218 subwoofers for low frequency effect (LFE), as well as CDA3 and CDA7.5 Class D amplifiers. The end result is highly immersive cinema sound known for delivering exceptional power and performance. Besides the Vive Audio system deployed in its flagship auditorium, the other four halls in Xinshidai MZC Cinema have deployed the Christie CP2208 digital cinema projector, which takes superior performance coupled with flexibility and affordability to a new level. Ideal for screens up to 35 feet, the DCI-compliant CP2208 is capable of displaying 3D, High Frame Rate (HFR), alternative and local content, providing a versatile and reliable platform that offers an attractive total cost of ownership. 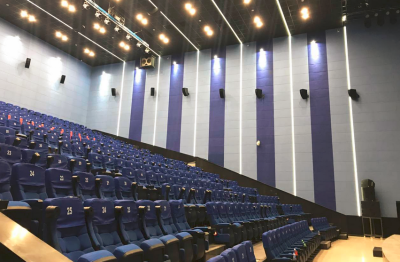 Earlier this year, MZC Quanjing Cinema became the first cinema complex in China’s Inner Mongolia Autonomous Region to be fully equipped with Christie’s premium cinema sound solution in all of its eight auditoriums. Christie Vive Audio provides a hyper-accurate audio experience and unlocks the full dynamic range of the DCI digital cinema audio and is compatible with the leading immersive and surround audio formats in the market. 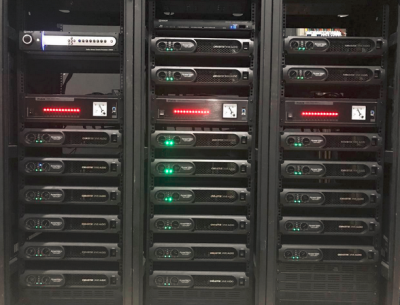 The complete solution deploys unique ribbon driver technology in a single-enclosure line array design, purpose-built for cinema environments. Christie Vive Audio system continues to establish its reputation worldwide as the next standard in immersive sound for cinema.